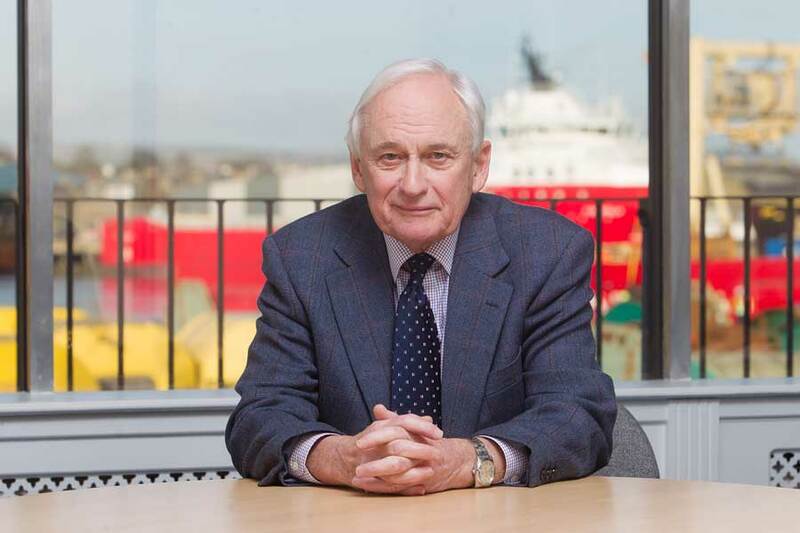 Montrose Port Authority has announced the appointment of a new Chairman of its Board of Trustees. John Carmichael has been vice chairman of the Port for the last year, holding the position of a non-executive member for seven years prior to this. His knowledge has seen him advise on a range of port management matters, with particular emphasis on infrastructure and development. Throughout his career, Mr Carmichael played an instrumental role within engineering services company Arch Henderson LLP, working with the company for 15 years. He was responsible for expanding the business, opening offices in Dundee and Clydebank; from which he managed harbour, shipyard and coast protection construction and dredging works, ranging in value from small developments to multi-million-pound projects. Mr Carmichael succeeds Nick Bradford who retired in September this year after 12 years in post, having successfully steered the Port through investment, construction and development into today's logistics hub for the East Coast. Commenting on his appointment, Mr Carmichael said: “I joined the Board eight years ago and since then I have become absorbed by this hugely active Port. “In that time, we have spent some £15million in developing facilities at the port. This includes berths with heavy lift capabilities, which allows us to satisfy the demands of a wide variety of clients from the oil and gas to commercial sectors. A further £8million project to upgrade the 180 metres of berth, again with heavy lift capability, will start in the next few months.